My kids did something shocking tonight, they helped in the kitchen without arguing! For 30 glorious minutes, they worked together effortlessly to create magic in the kitchen. Too bad the cohesiveness didn’t carry over after dinner. It’s okay, this post will serve as evidence that they occasionally get along. Wine in My Stew?! Uh, Yes Please! Its over 100 degrees outside and naturally, I want a hot bowl of stew. I found an amazing recipe online that calls for wine in lieu of Worcestershire sauce. So of course, I. am. in! In a fever, I rush to the store to purchase the ingredients, I need everything except for the wine. I always have wine, I never know if I will need it for a drink…or recipe. Continue reading Wine in My Stew?! Uh, Yes Please! Posted on July 15, 2017 November 11, 2017 Categories Food BlogTags beef, blog, carrots, potatoes, Recipe, stew, wineLeave a comment on Wine in My Stew?! Uh, Yes Please! 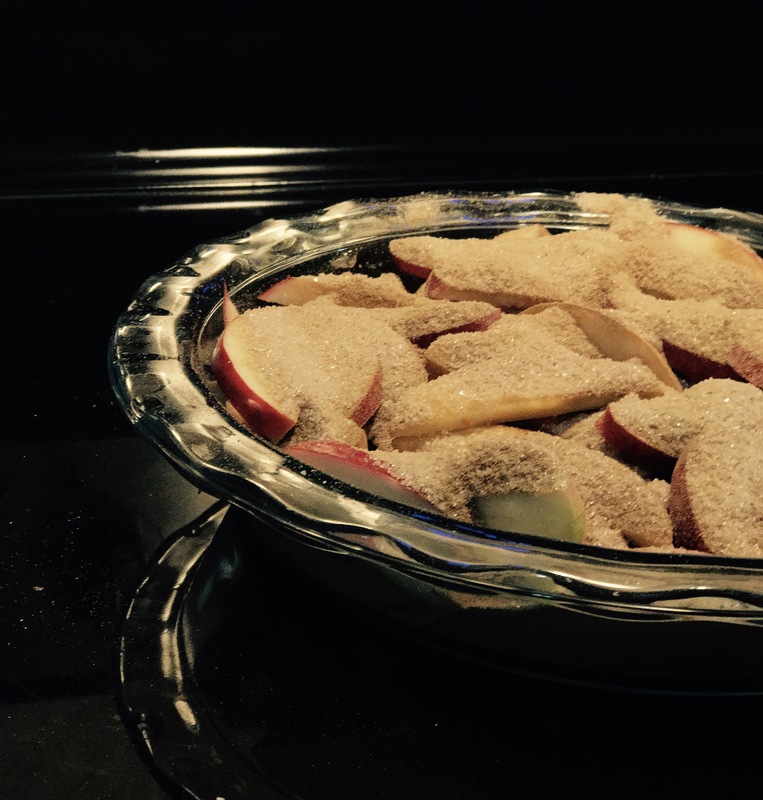 I have updated the recipe to include less sugar, which brings out the taste of the apples. 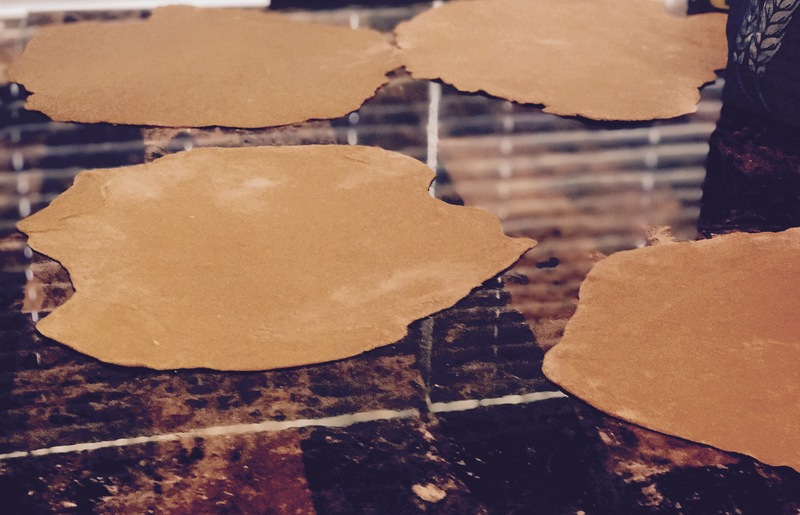 I have also added an ingredients list along with the method. I am super excited about tonight because it is DATE NIGHT! Yep, my husband and I still go out on dates after 15 years of marriage (which we celebrated on July 4th). Tonight we are making it simple; Chick-Fil-A, and Spiderman homecoming. We are both even wearing Spiderman shirts to the movie. How. Freaking. cute. is. that?! 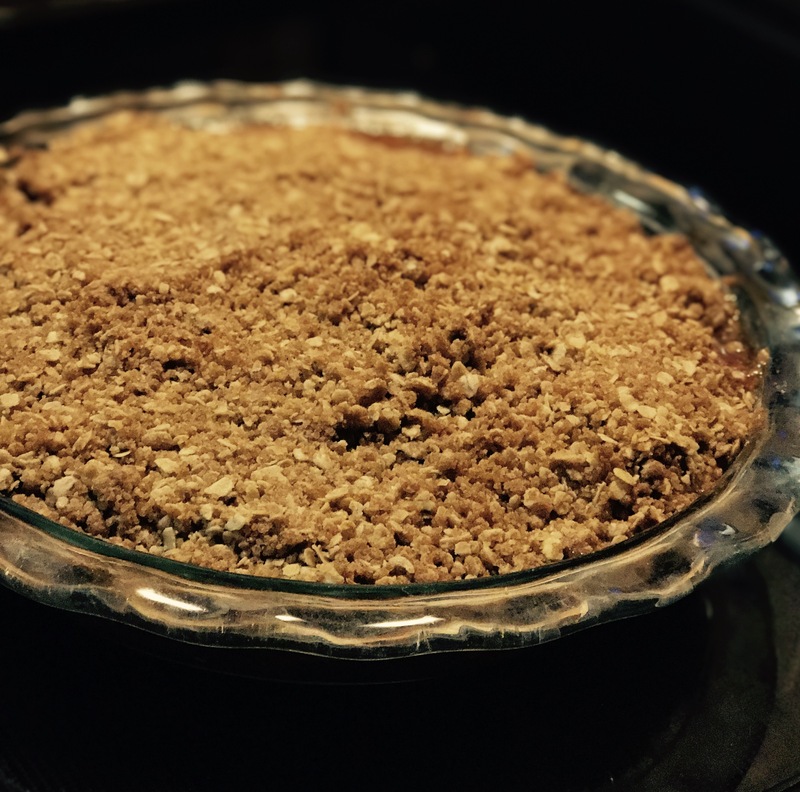 Part of my excitement is also due to the fact that I made my first apple crisp a couple of days ago! I did make a couple of errors though, first I did not peel the apples. This is something I will make sure to do since it made cutting through the apple slices a bit of a challenge. It was also a little sweet for my liking, but the family approved. Gordon Ramsay is my Hero! I spent most of my day off with episodes of Kitchen Nightmares playing in the background. Nothing makes me happier than hearing Gordon Ramsay yelling at a restaurateur. During one of the episodes my 12-year-old son announces that it is his dream to own a restaurant and have Gordon Ramsay come in and yell at him. I guess we all have our ambitions. 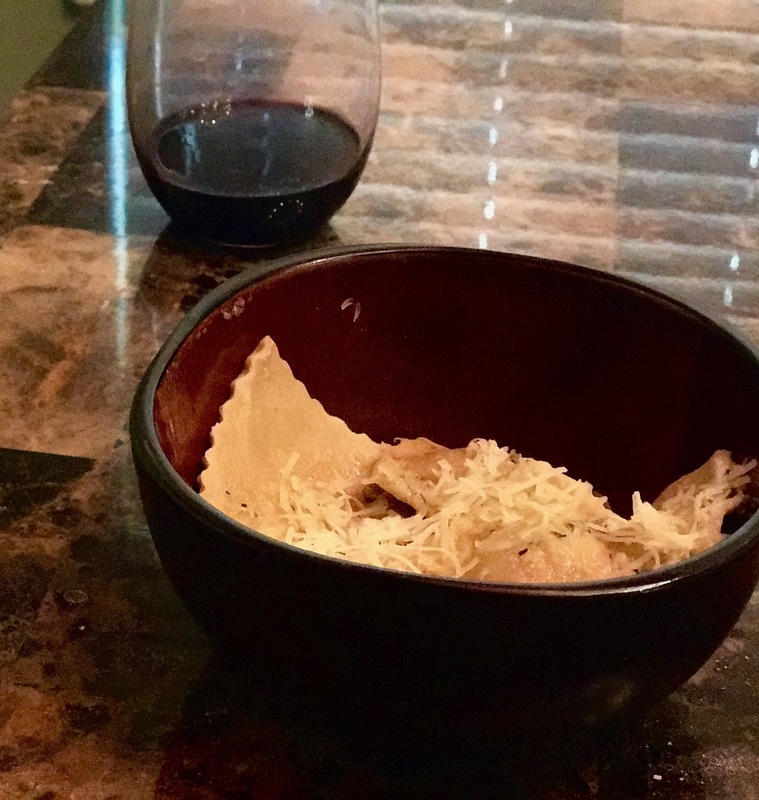 During this marathon, I am motivated to do something I have never done, make ravioli from scratch. Yep, I am attempting something I have never done before. This is going to get messy. I don’t mean a little messy, I mean catastrophic kitchen debauchery, I will destroy it before the day is over. Okay, I didn’t destroy it, but I came close. 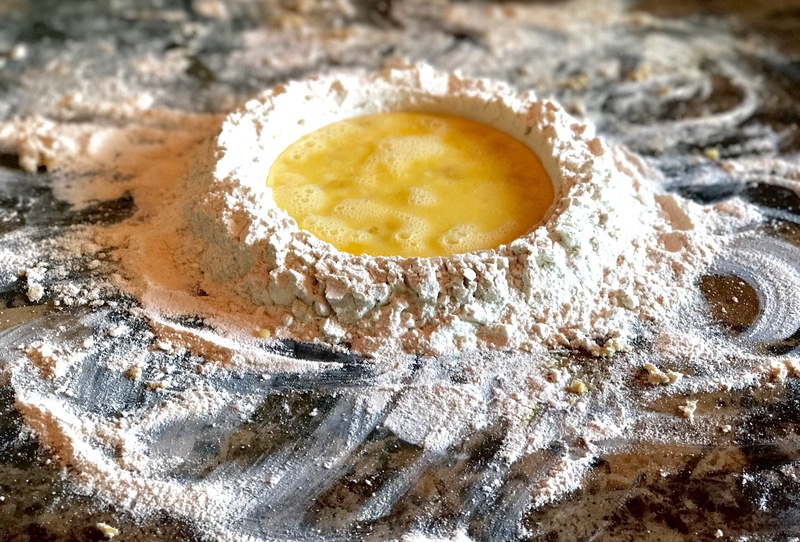 In pasta making apparently, you need to make a well in the flour and add egg. The first time I attempted this I had a breach in the well and egg went everywhere! It was a nightmare. There I was at my table slowly trying to mix in the flour when I pushed the fork down a little too far. Instead of gracefully mixing in the flour, I was chasing whisked eggs across the table with flour and my arm. Needless to say, it was a disaster. The second attempt at this went much smoother. The egg stayed contained this time around. In the end, the pasta turned out pretty good. I surprised myself, for a moment, I allowed myself to daydream that I could have my own restaurant. Then, the daydream was interrupted by Gordon Ramsey yelling at some restaurant owner who can’t keep their kitchen clean. As I looked around my kitchen, I noticed seasoning on the stove, dishes on the counter, and worst of all, flour all over myself. I even had flour on my neck of all places. Gordon Ramsay would have a field day after visiting my kitchen, but even with all the mess and time it took, the meal was worth the wait! I was pleased with the way it turned out! After my pasta was complete, I made a simple butter sauce to drizzle over it so I would not distract from the taste of the pasta. Below I will post what I used for the pasta and filling. 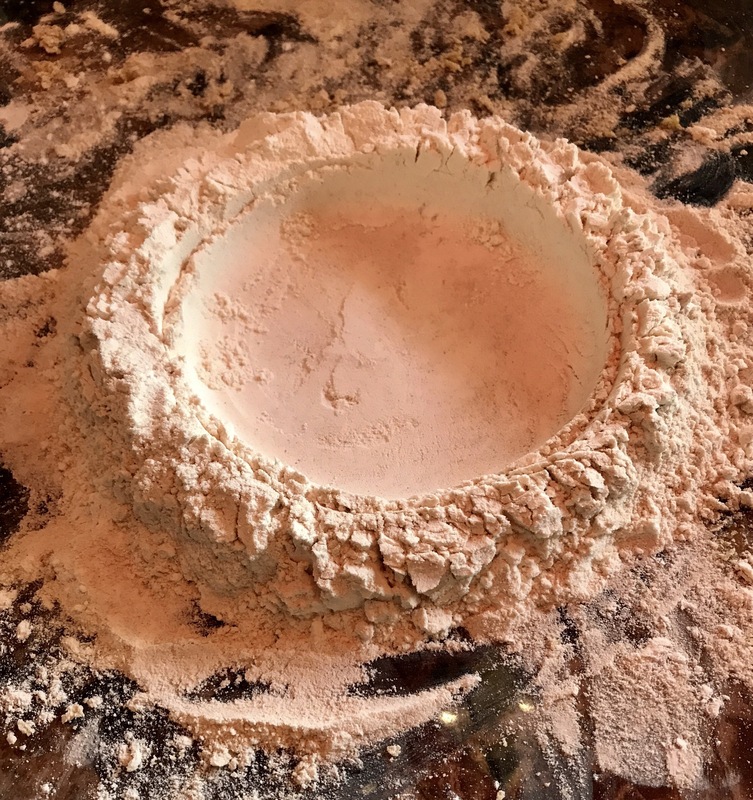 With a fork, slowly incorporate the flour into the eggs, eventually using your hands to combine the rest. Knead the dough until all the dough is a little wet, then wrap in clear wrap. Let rest for 30 min. 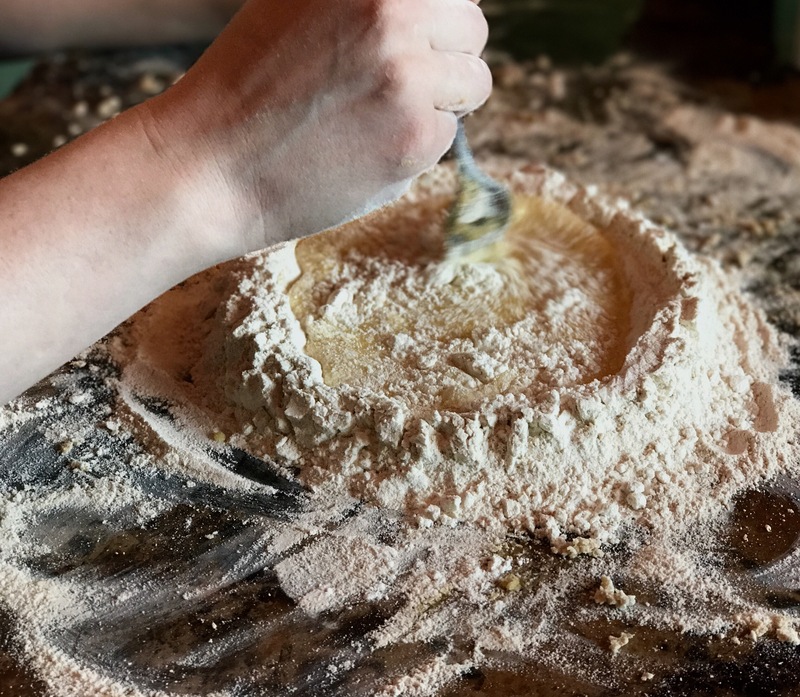 When the dough is finished resting, flatten with a rolling pin or pasta maker. Make sure to roll it as thin as you can. Cut the dough in half and add about a tsp. of filling every inch and a half. 1/3 cup fresh Parmesan cheese. Wring as much water out of the spinach, chop, and add to mixing bowl. After everything is mixed put the filling onto the rolled out dough (on one half that you cut). Put the other half over the top and press out as much air as possible. 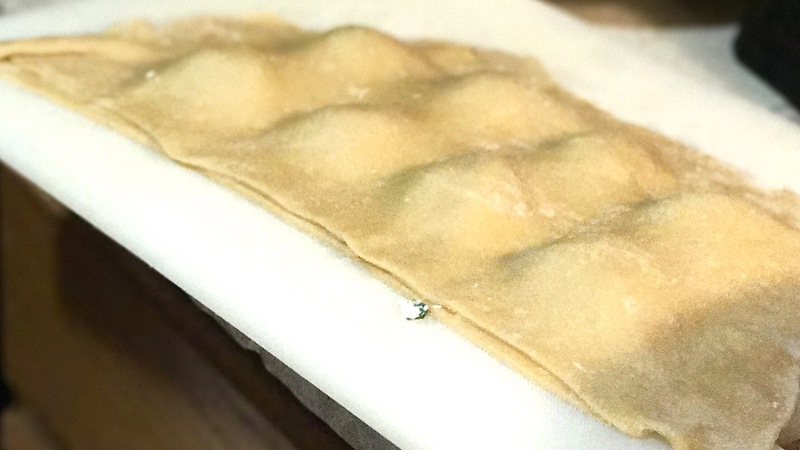 Using a pastry crimp or ravioli stamp, shape out the ravioli the way you want. Make sure the ends are pressed together tightly. Add the fresh ravioli into boiling water for about three minutes. 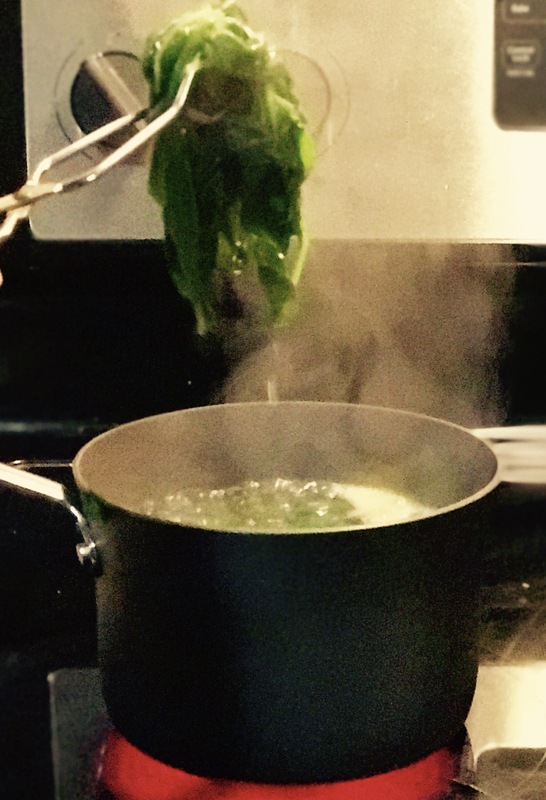 I served my pasta with a butter olive oil sauce (infused with basil and garlic). Posted on July 9, 2017 November 11, 2017 Categories Food BlogTags cooking, food, Gordon Ramsay, Parmesan, pasta, ravioli, Recipe, spinach, television13 Comments on Gordon Ramsay is my Hero! Part of my excitement is also due to the fact that I made my first apple crisp a couple of days ago! I did make a couple of errors though. First I did not peel the apples. 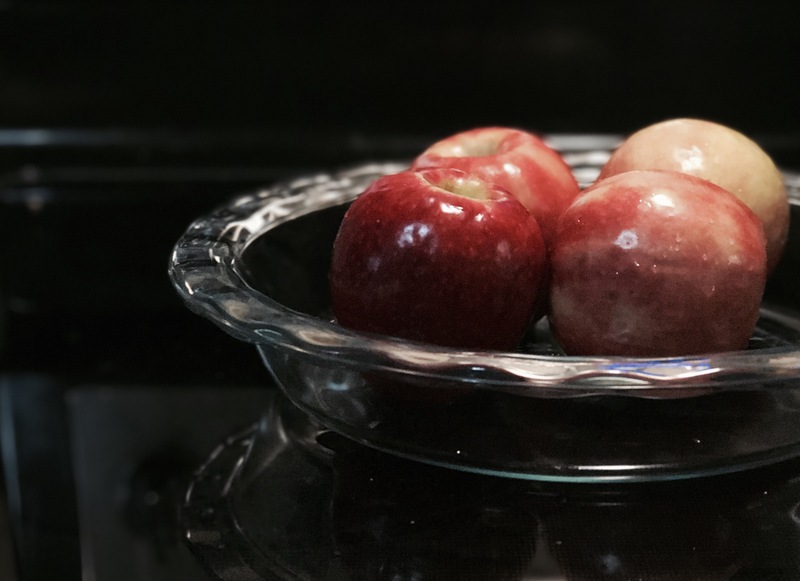 This is something I will make sure to do since it made cutting through the apple slices a bit of a challenge. It was also a little sweet for my liking, but the family approved. I added lemon to the recipe along with a whole cup of sugar, forgetting that lemon brings out the flavor of everything, especially sugar. I think next time I make this I will reduce the white sugar to only 1/4 to 1/2 cup. 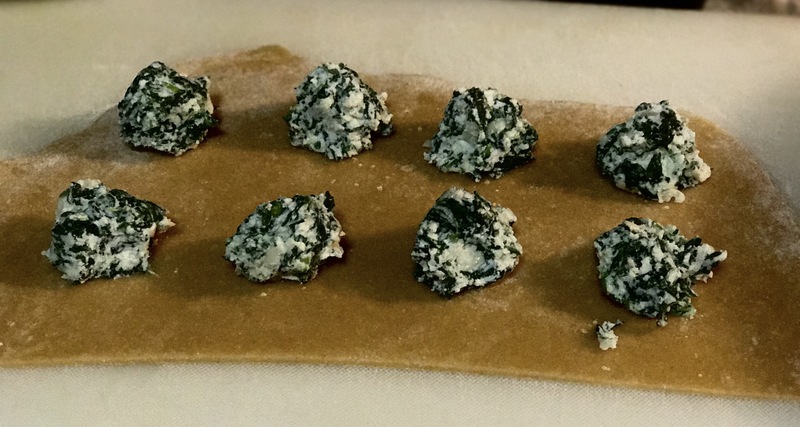 Regardless, I am going to post the recipe I used, and you can make it your own. 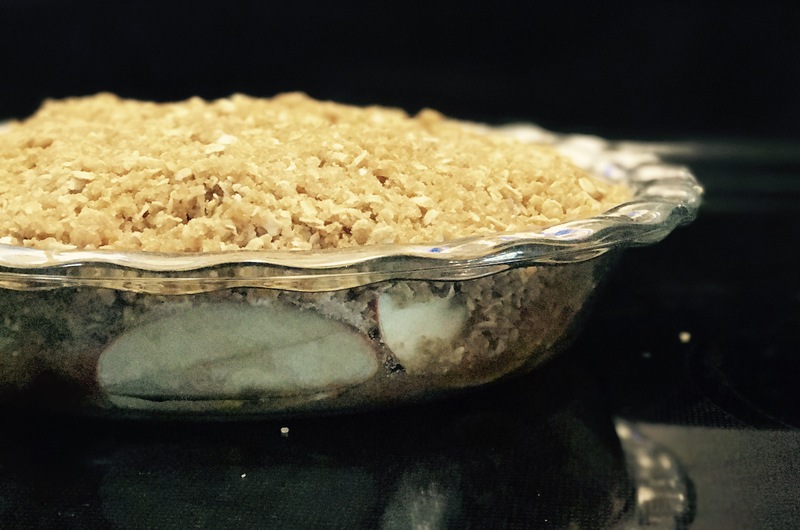 For the recipe; I used 5 apples, 1 cup white sugar, *update; 1/4 cup white sugar, 1 cup plus 2 tbsp of flour, 2 tsp cinnamon, 1/2 tsp nutmeg, 1/4 cup water, 1/4 cup juice of one lemon, 1 cup quick oats, 1 cup brown sugar, 1/4 tsp baking powder, 1/4 tsp baking soda, 2/3 cup melted butter. 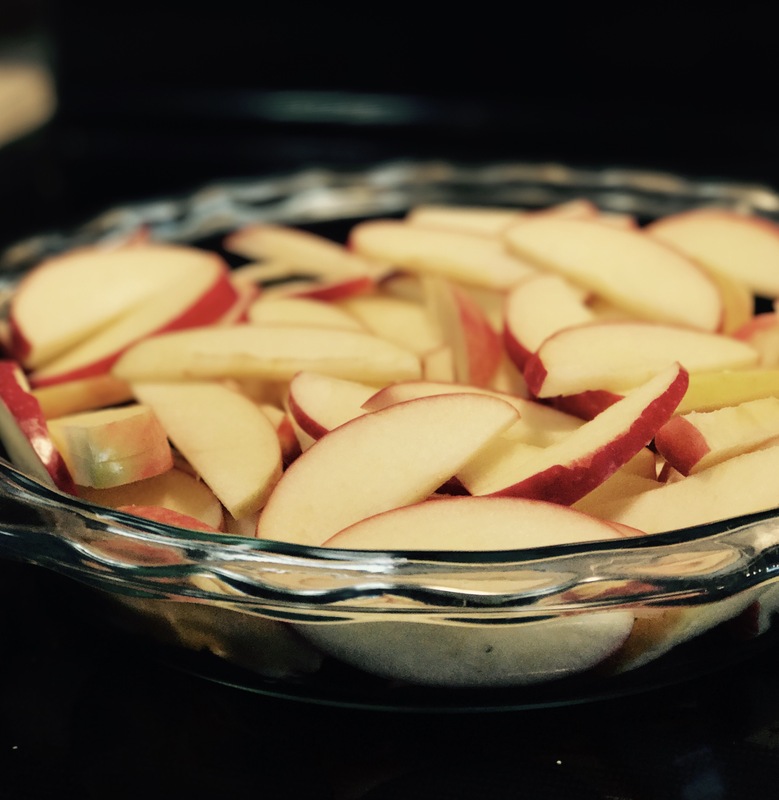 I started out by slicing the apples (I recommend peeling them as well) and putting them in the pie pan. I then added the white sugar, 2 tbsp flour, cinnamon, nutmeg, water, and lemon. Now set that aside and in a mixing bowl put together your quick oats, flour, baking soda, baking powder, brown sugar, and melted butter. After that Is all mixed in crumble it evenly over the top of the apples. Bake it at 350 degrees for 45 minutes. When it was finished cooking I let it cool for 50 minutes. I like to serve mine with vanilla ice cream, there nothing better than warm apples served with ice cream. 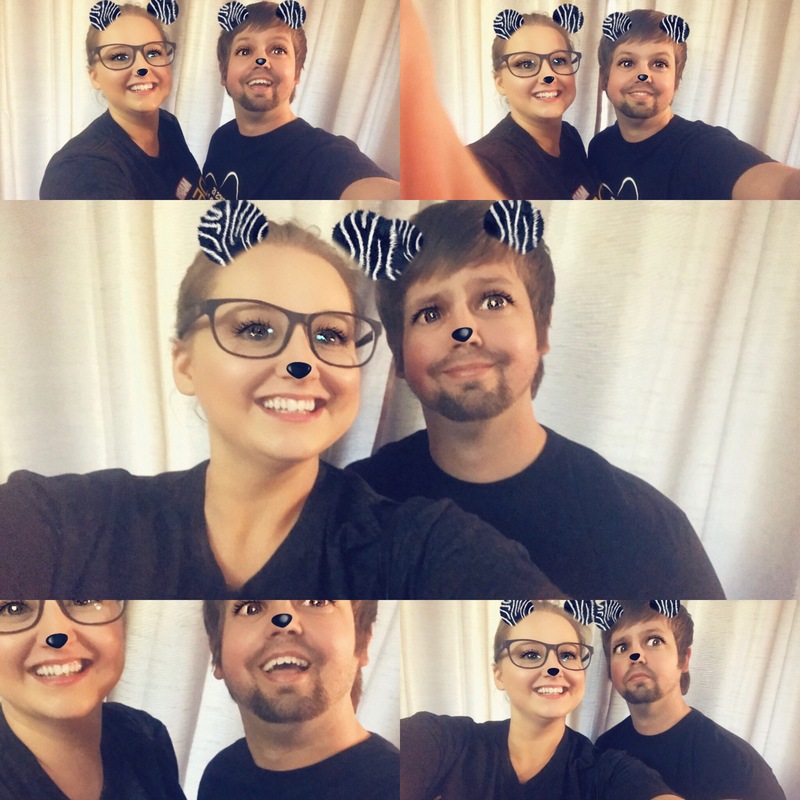 My husband is heading home from work now, and I have demanded that when he gets here, we are to take a corny couples selfie. After photos, I am off to eat dinner and enjoy a stress-free night of movie watching. Have any of you watched the premiere of Spiderman homecoming? How did you like it? After topping is all mixed together, spread evenly over filling. 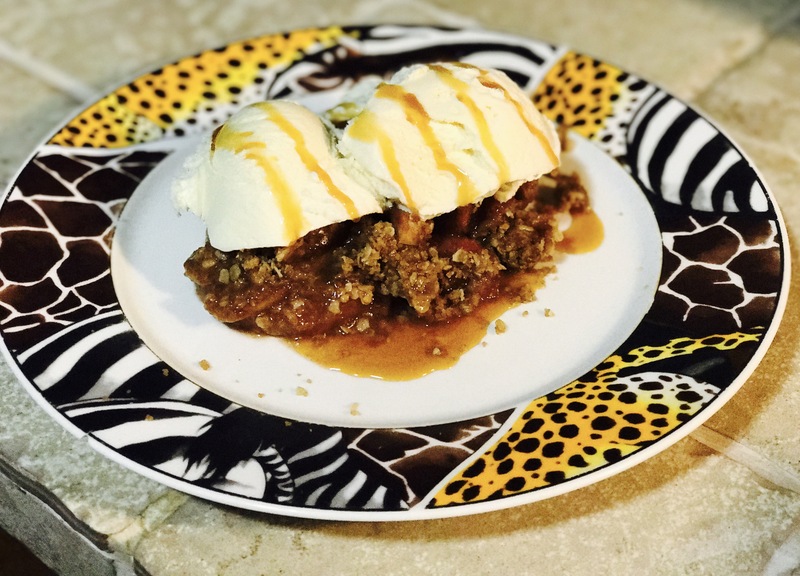 Bake apple crisp at 350 for 45 minutes. After removing from oven let cook for 45 min to an hour. Serve with vanilla ice cream.